Congratulations to Central Piedmont Community College student Jacob Hege who was recently recognized for outstanding leadership and service by North Carolina Campus Compact, a statewide network of colleges and universities with a shared commitment to civic engagement. Hege received the organization’s 2018 Community Impact Award, which honors one student leader at each school, during the organization’s annual CSNAP student conference, held Nov. 10 at Fayetteville State University. 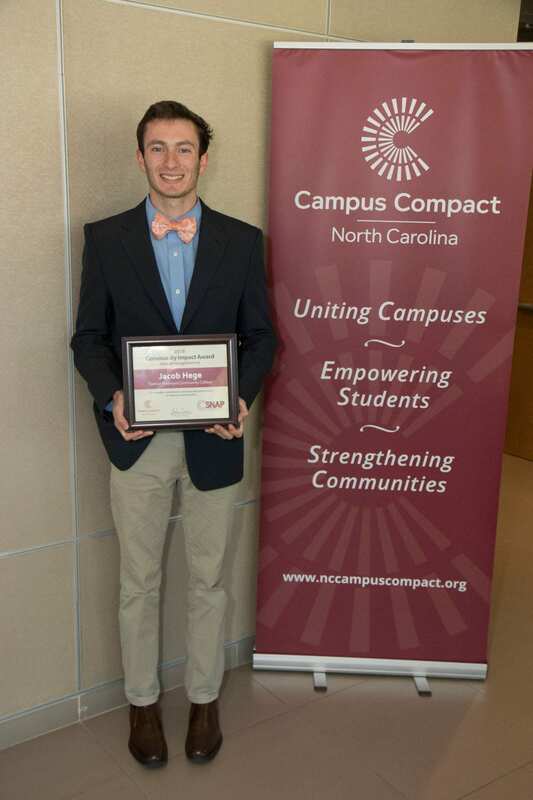 Hege has made significant leadership and service contributions to the well-being of his fellow students, the Merancas Campus and the community as a whole since joining the Central Piedmont family two years ago. He is an active member of the campus’s Student Government Association, serving as the group’s Senate Chair. In this role, he has helped raise student involvement and awareness of campus events, increased SGA membership to record levels and brokered an agreement with Huntersville Parks and Rec to offer students free, weekly access to the local rec center and gym to promote healthy living. In addition to spearheading several projects with SGA, he also contributes his leadership talents to Central Piedmont’s Rotoract Club, MAN UP organization, Phi Theta Kappa and Student Ambassador programs. Hege, a Huntersville resident, plans to transfer to a four-year institution upon completing his associate of arts degree. Wednesday, February 21, 2018, 2 – 3:15 p.m.
Business & Accounting Student Leadership Series, Session 1: Networking and Building Business Relationships that Last. Thursday, September 21, 2017, from 2 – 3:15 p.m.
stage for an Intentional Living Seminar that will be recorded for distribution to PBS stations across the nation. 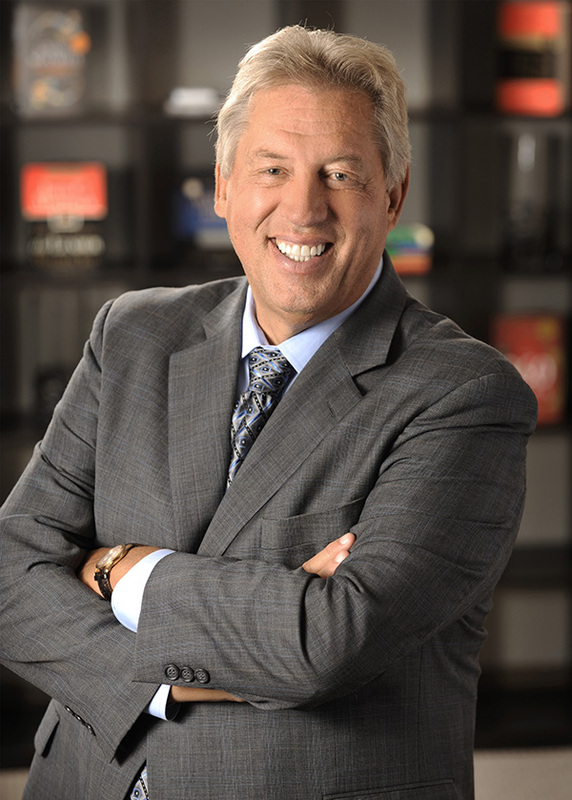 With this in mind, Mr. Maxwell will visit the Queen City to share his philosophy of Intentional Living with area Charlotteans and promote his upcoming book, “Intentional Living,” scheduled for release in October 2015. Mr. Maxwell believes that by asking the right questions, gaining a better perspective and forming habits that apply what is learned, an individual can see a positive change in their leadership style and personal growth. Don’t miss this opportunity to not only ask Mr. Maxwell your leadership questions, but also take your first step toward intentional personal growth that will result in a rewarding personal and professional life. WHEN: Thursday, May 21; 9 – 10:30 a.m. CONTACT: Tickets are $129. Tickets are $100 each when purchasing 10 or more. For more information and tickets, visit www.pbscharlotte.org. Free event parking is available in the Theater parking deck, accessible from E. 4th St.
We are excited that there has been so much interest in the newly revived International Student Club at CPCC. We have great students with lots of leadership potential. As we move forward with the club, we have set a timeline and guidelines for the upcoming election of officers. Through email and during the last Spring Festival, we have many students who have shown interest in participating in this club. What we need now is to let the group select the leadership team to guide the group from this point forward. The elected officials will serve until the last day of the spring semester at which time we will hold elections for the next year at our general assembly meeting. If you would like to run for a certain leadership position, you will need to complete a candidate form with your name, position you are running for and a brief description of why you would be the best person for this role. If you would like to review the description of each position and receive the candidate form, please email adam.hypes@cpcc.edu. If you would like to run for a leadership position, the candidate form needs to be submitted by August 25, 2014. Please email it to adam.hypes@cpcc.edu. We will hold an election day August 28 at 3 p.m. in Central High, 102 (Intl Services). For those candidates who choose to run, you will need to be prepared to present a two-minute speech and prepare for a two-minute question and answer session afterward. Only candidates who are present during the Election Day are eligible to be elected to their desired positions. Following the candidate speeches and Q&A, all present will vote and submit their ballot. For all others not running for a position and want to participate in the election process, please come to the Election Day to help select your team! Thank you for your interest and if there is anything you need please contact Adam Hypes, club advisor, at adam.hypes@cpcc.edu. nurture female student leaders by encouraging and demonstrating critical thinking, intellectual curiosity and problem-solving strategies. The program, which is limited to 10 female students who have completed, or will be completing in fall 2014, Student Life’s Emerging Leaders Program, includes an application process and annual commitment but offers exclusive benefits, including scholarships. Through monthly meetings and guided conversations with community mentors, the Ruth G. Shaw Women’s Leadership Program offers interaction with College leaders, faculty, staff and alumnae; personal and professional skill development; hands-on leadership development; and recognition of achievement. As a culminating event and in collaboration with faculty, staff and mentors, participants will plan and execute an annual spring symposium for the community. Applications are available in Student Life and on the Student Life website www.cpcc.edu/student_life/leadership/shaw_scholars. Deadline for applications is Wednesday, April 16. Questions? Please contact Amanda Capobianchi. Imagine yourself as the leader you want to become. Imagine yourself making a difference in the lives you lead. Imagine yourself shaping an entire community. Take Action. Strike the Match. Be Extraordinary. IGN1TE change! Join a group of aspiring social change makers for IGN1TE 2013 – the spring session of Student Leadership Academy! This free, non-credit leadership program is an introduction to the Social Change Model of Leadership Development and is intended to educate, empower and engage students in creating change on campus and within the community. Please click HERE for more information and to complete an application. **The application deadline is Friday, Jan. 18 at 5 p.m.
Change begins with one. Change begins January 31. The Office of Student Life offers leadership programs and free resources to students who are interested in discovering and developing their leadership style. For more information, please check out the Student Life blog. Imagine yourself as a leader. How would you lead? Imagine creating change through everyday acts of leadership. How would you make a difference? Click HERE to watch a short video and to learn more about an exciting opportunity with the Student Leadership Academy. Student Leadership Conference: What’s Stopping You? Are you looking for an opportunity to grow personally and develop your leadership skills? If so, join us March 23 – 25 for the 23rd Annual Student Leadership Conference. To learn more about this exciting conference and how to apply, please click here. There are limited spaces, so act now!